To create Instagram content that engages your followers, you not only need to create a proper content calendar but great content and even better captions. 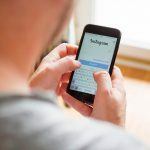 Nailing down your Instagram captions can help your followers engage with your content which will cater to Instagram’s algorithm allowing more people to see your posts. 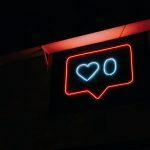 If you want to improve your plastic surgery Instagram content, even more, do these Instagram caption tips for better results. If you notice that some Instagram posts do better than others, there are a few reasons for this. Instagram favors posts that have lots of user engagement. If you want your posts to trick Instagram’s algorithm to show your posts more, you need to drive engagement. 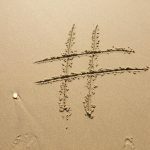 How do you get your followers to engage with your posts? Once you get your followers to start commenting, it’s important that you engage back with them. Every time you comment back, this shows that you care about your followers. When your followers see this, it will not only help them like you more, but it will encourage them to comment more often. When writing your plastic surgery Instagram captions, it’s important to both start a conversation and to encourage your followers to share your content. This will both encourage engagement and help your content be seen by more people. Including a call to action in your caption is important, especially if one of your marketing goals is to drive new patients. According to statistics, about 75% of Instagram users take some sort of action after viewing an Instagram post. Try to include a call to action in most of your Instagram captions. When you write one, think about what goal you want to achieve with this post. Do you want them to click on your website? Do you want them to call you to book a consultation? Outline your goals before writing your caption. Remember that Instagram is a visual-heavy platform so it’s important to keep your captions short and resourceful. Don’t waste your time and energy writing long captions that nobody will read. In addition, try to keep your captions easy to read. If you’re having trouble formatting your captions on the Instagram app, try writing the captions in a notepad app, or write them on a social media posting platform like Hootsuite. Your brand should be easy to recognize in every photo and caption. It should be obvious to your followers what your voice and personality are like. If you have someone else manage your social media, make sure they keep a consistent voice and highlight your businesses’ personality as best as possible. Need More Help with Instagram? If you’re in need of more help with your Instagram captions, photos or even your content calendar, our experts at Practice Affiliate are here to help. Fill out our online form or give us a call today to learn more about Instagram marketing for your plastic surgery office.